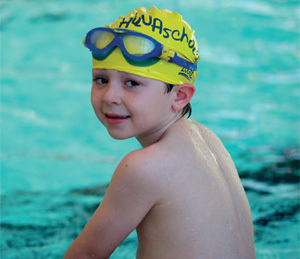 Aquaschool Membership caters for all ages and abilities, from non-swimmers to club level, from 6 months to adults. Learn to swim is an essential life saving skill. Unfortunately, drowning is still one of the most common causes of accidental death in children. Swimming is lots of fun for the whole family and provides many health benefits. Swimming keeps your heart and lungs healthy, improves strength and flexibility, make new friends, build confidence in the water and as your child gets older and turns into adulthood we offer NPLQ (National Pool Lifeguard Qualification) to train to become a lifeguard. Please note: Prices vary depending on number of children & adults; maximum 2 adults per family membership, juniors – 0 years to 17 years. Waiting lists apply for Aquaschool. Please ensure you have been offered a place by the Swimming Team before purchasing an Aquaschool membershp.